Fire is under the ashes, and the wind is nearby. This is how Jordanian politicians describe the situation in their country these days. Summary⎙ Print The Islamists in Jordan are growing stronger, which is linked to the war in Syria. A number of Jordanian politicians are touring neighboring countries to explain to their officials what is going on in Jordan, and to explore the international perspective over what is “being prepared” for Jordan. A delegation from the Jordanian Council on Foreign Relations visited Lebanon late last week. The delegation’s members looked worried, and a prominent Jordanian politician and council member explained to Al-Monitor the risk indicators on the Jordanian scene. He said three indicators should be especially considered. First is the spread of arms in the country. The price of a Kalashnikov rifle has become an international indicator about the level of militia arming in third world countries, and its price is now less than $500 in Jordan. Two years ago, a Kalashnikov was rare and cost no less than $2,000. The drastic drop in price indicates that the rifle is abundant and the market could be flooded. He said that the weapons are mostly coming through the Syrian border. The second risk indicator on the Jordanian scene is the Sunni fundamentalists. Reports by various media outlets of the April 17 airstrike by Jordanian fighters on a Syrian opposition convoy transporting weapons to Jordan have become almost daily news for Jordanians. The council member said that, in Amman, there is talk about regular convoys that cross the border to Jordan from near Daraa in Syria, and those convoys are loaded with large quantities of weapons of all types. But who is behind these operations? According to him it is the Sunni Islamist fundamentalists, in particular groups affiliated with al-Qaeda or that aspire to be. The Jordanian Islamist groups are heading toward more militancy, extremism and fundamentalism, until they reach the stage of armed jihadism, the politician said. The politician gave this example: The recent events in Maan were a clear warning and an alarm bell that rang in the ears of all Jordanians and of everyone concerned with the situation in Jordan. Starting on April 23, the Jordanian province in the south has seen a complete security breakdown and serious armed unrest. The events began with the killing of a fundamentalist by the state’s security forces as they were trying to arrest him. Matters suddenly evolved into armed confrontations and a kind of civil disobedience. The council member explained the importance of the Maan events. He said the Maan region is the largest Jordanian province and is located in the south of the country on the border with Saudi Arabia. It has the road historically used by Muslim pilgrims headed to Mecca. 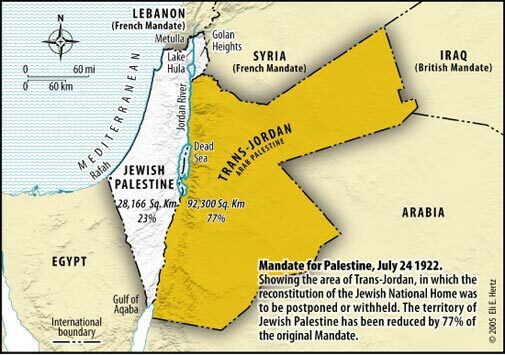 This is what made the province an Islamist stronghold throughout the history of the Hashemite Kingdom of Jordan. Even when the Muslim Brotherhood was a tiny minority in the country, the group was still able to have one of its members elected as a Maan deputy. However, after the recent Arab developments and the growing strength of extremist groups, it became apparent that Maan’s Islamists are no longer with the Muslim Brotherhood, but have become mostly Salafist jihadists, according to him. During Muslim holidays, the people are categorized according to how many worshippers listen to mosque preachers with known political affiliations. The Muslim Brotherhood came in third place, the pro-government preachers came in second and Salafist-jihadist preachers came in first, as they attracted the most worshippers in this area of 80,000 people. Most of the people in the area acted against the Jordanian authorities in the last week of April. They closed roads and attacked government buildings and centers, both civilian and military. The city almost became an independent statelet within Jordan. What’s more, it seemed that a number of neighboring regions were ready to do the same. Most importantly, the leaders of the jihadist movement in Maan came out publicly and told the media what could be understood as the movement's adopting the disturbances, and also leading them. This dangerous reality is happening amid an abundance of arms, according to the Kalashnikov indicator. In addition, there is a heavy presence of displaced Syrians in Jordan. All that is worrying Jordanian politicians that something serious is being prepared for their country. The third risk indicator, the Jordanian politician explained, is the Islamists trying to find a “suitable soil” for sectarian strife and factionalism within Jordan. This is unprecedented in the state’s history. He gave a clear example: On May 1, a Salafist party invited Saudi Sheikh Mohammad al-Arifi, who is well known for his fundamentalist extremism, to deliver a lecture at the University of Jordan in Amman. It should be noted that the sheikh is known to have issued extremist fatwas in the past. After the lecture, the organizers arranged to distribute to the media the news that a Christian Jordanian girl, from the area of Ajloun in the ​​north of the country, came forward, after Arifi’s sermon, to declare that she had converted to Islam and was now a Muslim. Hours later, a news report claimed that the girl’s parents killed her in her hometown as punishment for leaving her religion. The two news reports were enough to turn the atmosphere in Jordan into something similar to what we see in areas of Egypt with both Islamists and Copts, when, for instance, following a girl's conversion to Islam or Christianity dozens are killed without any questions raised or clarifications made. In the case of Jordan, it should be noted that no one confirmed whether the news reports were true. In fact, subsequently it was argued that the reports were false. But it was enough to reveal the sectarian incitement initiated by Islamists in Jordan.